Find the right match for your skin. When it's impossible to find that perfect foundation or lipstick shade, a tailor made cosmetic product is a godsend. Ideal for individuals who have little to no success with the basics available at the cosmetic counter, a custom made product is designed to suit and complement specific skin tones. Why Choose a Tailor Made Cosmetic Product? While you may be perfectly satisfied with the abundant selection of makeup available to you at your local Sephora or cosmetic counter, you might also be interested in learning about customized products. Designed specifically with you in mind, these products are created after your skin type, tone and color preferences are determined. Foundation is probably the most requested customized product, since finding a perfect match can be tricky for some people. Maybe a brand you love just doesn't have the right shade for you, or maybe your skin has tanned a bit during the warmer months and you want something just a touch darker than your usual shade. Other customized makeup products include lipstick, lip gloss, powder, bronzer, concealer, eye shadow and tinted moisturizer. While finding an exact match is one common reason to indulge in a customized product, the sheer fun of mixing and matching colors is another draw. With all the choices available to you, creating new shades to perk up your cosmetic collection is a great way to experiment and be bold! If you've decided you're in the market for a tailor made cosmetic product, you don't have to look far. Your first stop is as close as your nearest department store. From there, you might want to check out the handful of Internet boutiques that specialize in custom color makeup. Prescriptives offers an extension to its regular line of existing color cosmetics. The Colorprint system is designed to make finding the right foundation for your skin tone a snap! In order to get Colorprinted, you'll need to make a stop at your local Prescriptives counter. 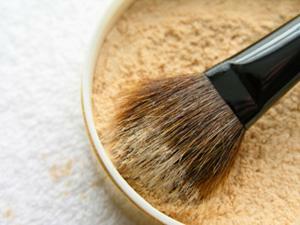 Once there, the associate will determine your skin's undertone and "exact match" you with the appropriate foundation. It doesn't stop there, though. Prescriptives will also match your ideal eye, lip and cheek colors to create the perfect palette. If you choose to indulge, you'll walk out with a color palette that's guaranteed to complement you and make you look your very best. If the name doesn't entice you, the products definitely will. Imagine having the freedom to create your perfect color palette from scratch. At Three Custom Color, it's entirely possible with a visit to their Color Studio. There, you'll receive a consultation and be matched to a variety of ready-to-wear shades. Better still, you have the option of having colors custom blended to your liking. Consultations are $85 minimum per person.Three Custom Color go the extra mile for their customers, offering a unique service that recreates your favorite discontinued makeup products. That old Revlon Cappuccino lipstick you sometimes reminisce about? You don't have to dream anymore. Just visit the company's Custom Blending area for more details. Talk about tailor made! At Giella Custom Blend Cosmetics, you can do all the work yourself - from the comfort of your own home! Each product has a custom blend bar, which allows you to customize it with a "mixer," such as vitamin E or kukui nut oil, choose your preferred coverage level (usually light or medium), add a "garnish," such as soft white shimmer or red glitter shimmer and, for some items, even blend in a scent like vanilla, orange or bubble gum. Giella offers everything from lipstick and nail polish to moisturizers and toners. You can essentially create an entire beauty wardrobe at this versatile outlet. If you're interested, visit the company's Web site. The perfect finishing touch to a beautiful, flawless look? A spritz of perfume, of course. Design your own at Scent Design by choosing an oil and up to five fragrances from the provided list. If the scent of your dreams involves apricot, mango, lilac and musk all at once, you can finally go for it.